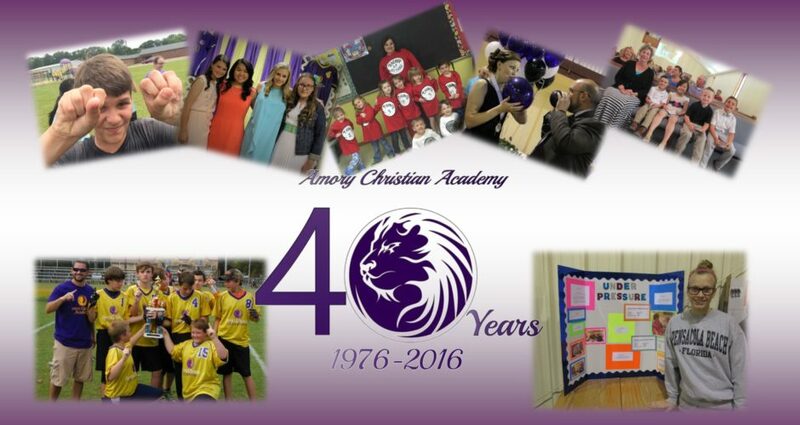 Founded in 1976 as a ministry of Amory 1st Free Will Baptist Church, Amory Christian Academy has been serving our community for 40 years. Our graduates are serving the Lord in ministries from the East Coast to the West Coast and beyond. ACA primarily uses the ABeka Curriculum, however, we supplement additional resources from many other curriculum providers to allow our students a well-rounded education experience. Amory Christian Academy also is affiliated with ACE and the School of Tomorrow.